I'm very pleased that Cartoon Guitars has reached one million visitors. I want to thank all of you for your support over last few years. As you may see there is a some sort of a pause on my new guitar illustrations because my other life preoccupations and hobbies. For any personal orders please contact me. 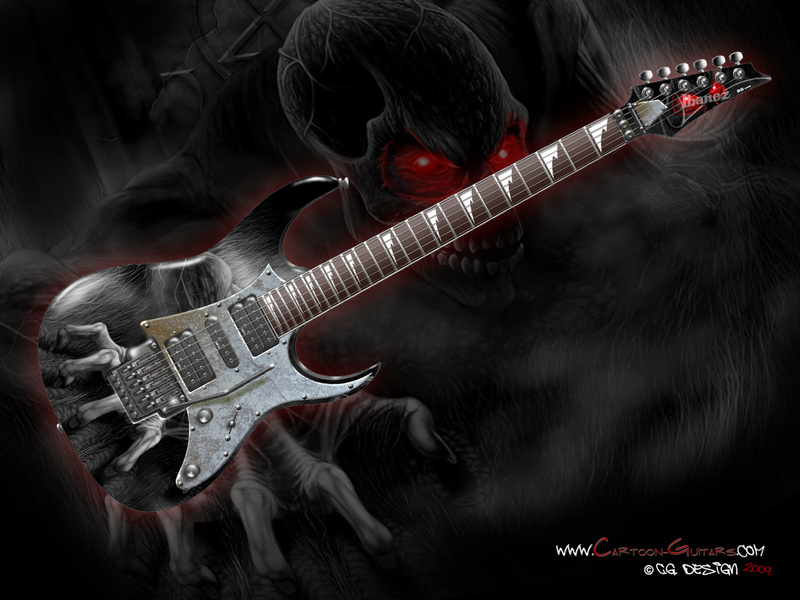 After some time here is my new guitar design. 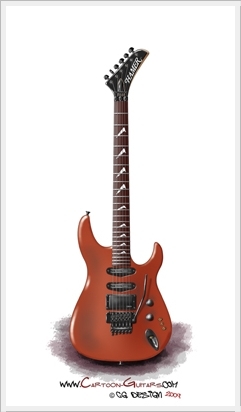 This guitar illustration is created for Mr. Peter Holmbeck by his exact specifications. You can see his webpage where he sells some cool guitar related stuff on http://www.rocknrolljewelry.com. 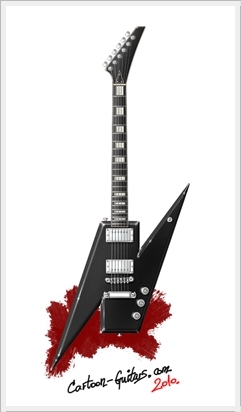 I've named this guitar just Flying N. It's not a GIBSON guitar, it's just brandless guitar. You can see that there is no brand name on guitar headstock yet. Soon there will be some new guitar illustrations. 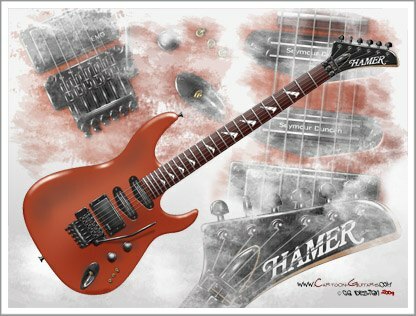 Thank you all for coming back on Cartoon-Guitars.com.